Trevor Swadling born 1955 Melbourne, Australia. 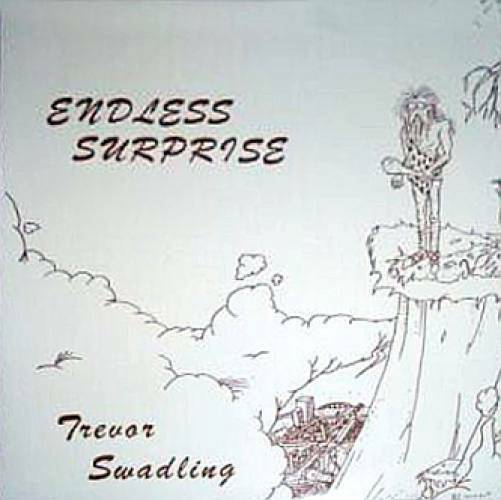 Endless Surprise was Trevor’s first album, it was recorded on a reel to reel 8 track and mixed and mastered at his home studio in 1981. 500 vinyl albums were produced. Below is a review of this Album by Muddy Candy. This is a re-post from the late, great (perhaps the best) Mystery Poster blog (now defunct). This was par for the course of what one could find on that goldmine: a completely unknown, unavailable, mysterious gem, usually of top quality, or at the very least interesting. I remember downloading this one in late-winter, listening to it in front of the fireplace while house-sitting in the country. It took a few listens, but it finally won me over. Trevor is a Australian singer/songwriter and has been writing and performing songs for many years at various venues around Sydney. Recently he produced an album titled The Reason. Trevor’s songs tell a story and convey a message. The lyrics cut deep into the realm of human condition and social issues crossing the age boundaries. The combination of acoustic guitars, bass and piano, with three part harmonies blend together to create a compelling and unique sound that many have described as “fresh folk”. 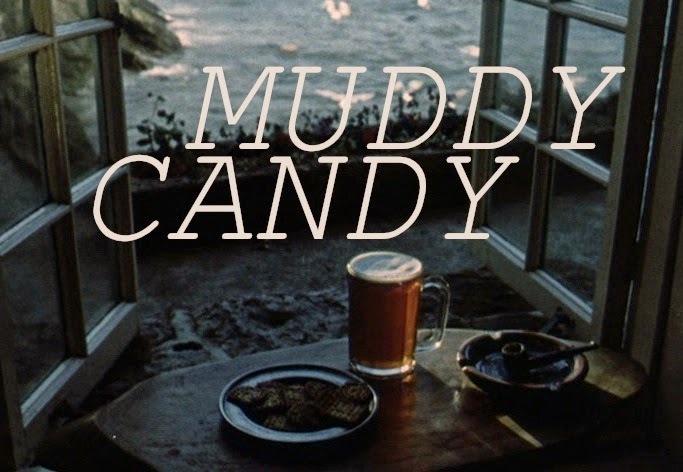 The music on this LP is less in a “fresh folk”-vein, and more in a lo-fi ramblin’ rock & roll mode, melancholic, melodic, a bit psychedelic, with a heavy loner vibe, reminiscent of Anonymous, Relatively Clean Rivers, early Fleetwood Mac and Bob Welch—somewhere between the Dead and Felt (the organ tracks especially remind me of “Me and a Monkey on the Moon”). I always assumed this was a one-man, multi-track recording, but this popsike posting claims the band features “MULTI INSTRUMENTALIST JEFF MERCER WHO LATER WENT ON TO THE HAPPENING THANG.” The pleasantly fuzzy sound may be down to the mystery poster’s ripping technique. Regardless, the keyboards layer nicely over the smoggy rhythm section, paired by a solid lead guitar and Swadling’s tremulous vocals. Good songs, great sound, 100% earnest: I love listening to this record. A lot of these songs are also available on Trevor’s Soundcloud page. 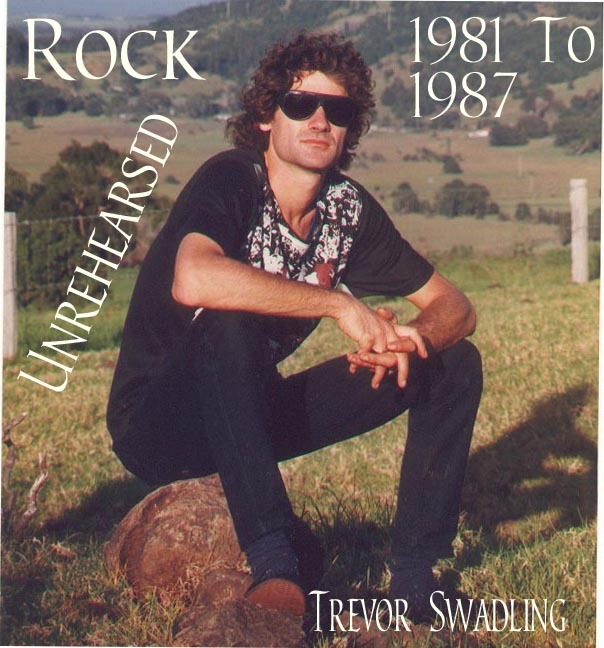 Rock/unrehearsed was completed in 1987 the 17 songs were recorded from live night sessions in Trev’s studio from 1981 through to 1987. In the mid-80s there was a vibrant Australian music scene on the northern beaches of Sydney the musicians who contributed to this album were all in bands that were playing around Sydney. At the start of each session they played Trev’s song a couple of times until they got the feel for it and then we hit the record button. The songs came out sounding live and vibrant, everyone gave it their best. This album is a credit to all the musicians who contributed to it. Jeff Mercer: Lead guitar. James Barton: Drums. Phil Saddleton: Drums. Sean Eustom: Drums. Rod Crundwell: Keyboards. Murry Cook: Bass, Keyboards. Sean Crawley: Bass. Garry Dryden: Lead guitar. Andrew Hoyle: Sax. Isabel & Sara Fogarty, Kathleen Swadling: Backing vocals. Trevor Swadling: Lead vocals, rhythm guitar, and harmonica. This compilation album is available on Itunes and spotify. “We rehearsed up a bunch of songs and started playing at folk festivals and music venues around Australia for the next four years, we called our little band “Selalu”, with Kathleen on Mandolin, Trev playing Guitar and Tully on the bass””. 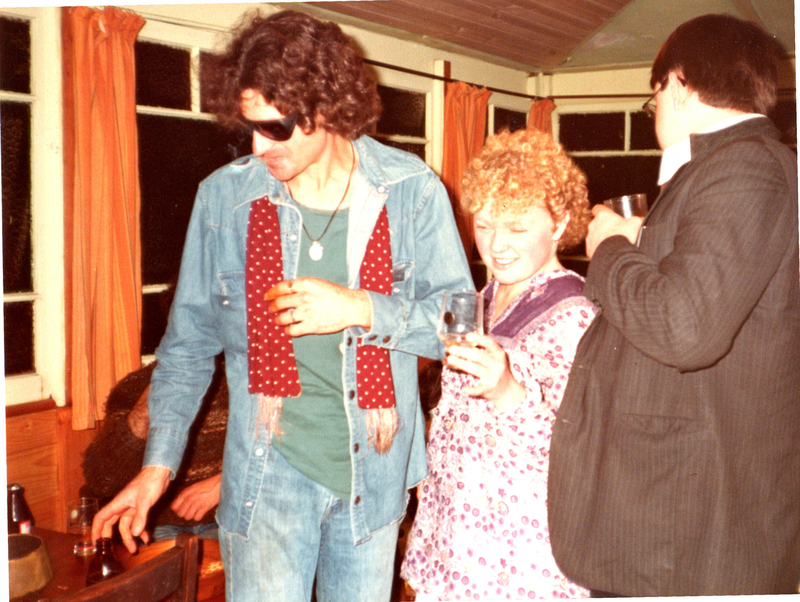 Later on they were joined by Tully’s brother Matt Dingle, he took over playing the bass freeing Tully up to play guitar. The 14 songs on When the World Was Young were all written over this time. Along the way they met some wonderful musicians who contributed to these recordings; Tony Pyrzakowski – Violin. Clay Song, Home Town, In My Mind. Cye Wood – Violin. Deep Down, Walk You Home, The Reason. Jeff Stanley – Electric lead guitar. The Reason. Mark Hansen – Keyboards. The Reason. Luke Dingle – Piano on Ride of Your Life. Over this time Selalu performed at The National Folk Festival, Music At the Creek Festival, Macquarie Towns Music, Paddington Arts, The Loaded Dog, The Shack, Kangaroo Valley Folk Festival, Gundagai Folk Festival and other folk venues around Sydney. 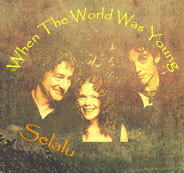 “When The World Was Young” is available on ITunes and Spotify. Email Trev if you want a CD. 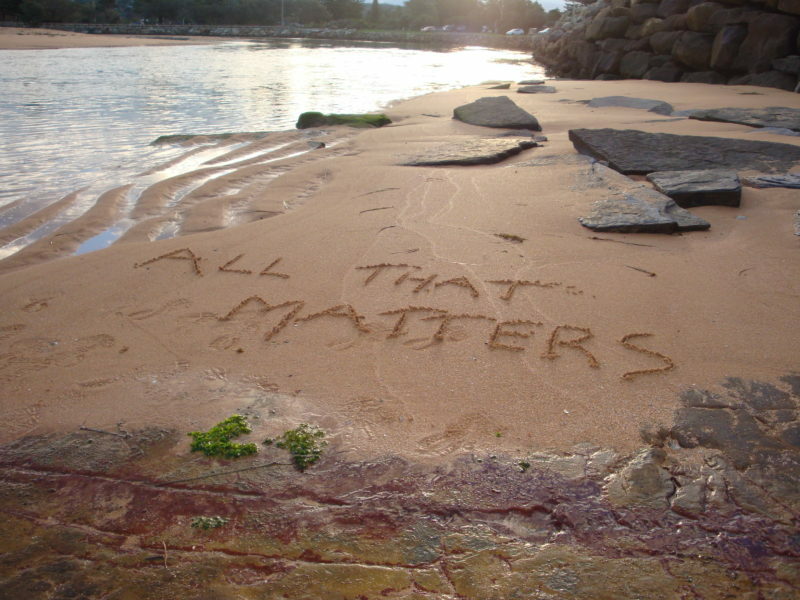 “All That Matters” is Selalu’s latest album and is available on ITunes and Spotify. CD’s of this album have been produced, email Trev if you would like a CD.